Even I have to, reluctantly, agree that summer has now come to an end. What a strange August we have had - in many ways it's been much more like April. We've had 10" of rain this month, the second month this summer that's happened! Glad I didn't pay for a pool membership this year. I haven't altogether missed the heat and dryness but it does make a person much more appreciative of fall. I've had a weird week - walking down the stairs at work when my knee popped and I felt something tear. With help from The Big Guy I got myself to the doctor and discovered that I had torn my meniscus. Now I know why football players writhe around on the ground when they tear something in their knees - holy buckets did that hurt! My knee has been sore since and weak so I've been hobbling along all weak with the aid of a cane. I can do most things fine but it has made me rely more on others. I'm going to use it as an excuse to spend the next couple of days lazying around, reading. 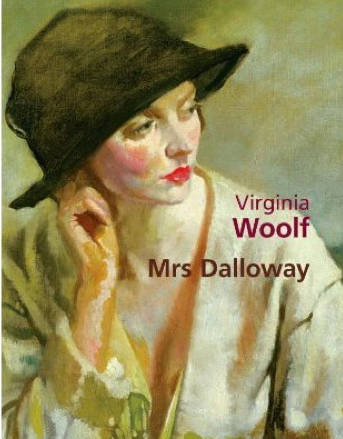 Listening To: I finished Death Of A Cad and I've listened to about half of Virginia Woolf's Mrs. Dalloway. While I'm enjoying it, I find it easy for my mind to wander when I'm listening while driving and this is an easy one for that to happen with. Watching: College football! Speaking of watching, I'm so sad to find that A&E has cancelled "Longmire." Everyone in my house loves that show so we're hoping another network will want to pick up a show that has as many viewers as "Longmire" does even though it had a rerun as a lead in. Reading: Liar Temptress Soldier Spy by Karen Abbott - really interesting look a female spies on both sides of the Civil War. Making: White bean dip, BLT dip, stuffed hot banana peppers, sliders, saltine toffee, and homemade salsa for a football party. Planning: On having surgery Tuesday to fix my knee. Not looking forward to the surgery but I'm definitely looking forward to having a knee that works again - it's been sore for a couple of weeks before it finally tore. Grateful for: My hubby who has taken such great care of me this week! Enjoying: Celebrating a season opening Husker victory with Mama Shepp's kids! One day I'll turn my basement into a adult space - but for now I love that it's a place where they can feel comfortable. Feeling: Anxious. I'm so over having surgeries! Looking forward to: Being able to get out and walk again! Okay, so I talked before about the speech thing and how it made the book harder to read and I wasn't sure it was necessary? Yeah, that's about the only thing I didn't like about this book. Umrigar just never disappoints me, always taking me out of my little white suburban bubble to look at the world in a bigger way. Umrigar takes on a lot in The Story Hour but never loses control, exploring Indian culture, the immigrant experience, prejudice, guilt, identity, love, friendship, and marriage. Perhaps one of my favorite things about Umrigar is that she never give readers a tidy ending and The Story Hour is no exception. The publisher's summary says that Maggie and Lakshmi are two women with nothing in common but that's not entirely true. Both women are married to Indian men, the bond that initially allows Lakshmi to open up to Maggie; both women lost their mothers at a young age, changing the trajectory of their lives; and both women are hiding a toxic secret. They also both come with prejudices that might have been a barrier to a friendship - Lakshmi harbors some of her husband's racism (Maggie is African-American) and Maggie initially considers Lakshmi to be beneath her friendship, something she is ashamed to discover at a dinner party. Through Lakshmi's weekly visits, her story hours, the two become friends. Lakshmi brings a warmth into Maggie's life and a deeper appreciation for her husband and helps her find the strength to turn away from a harmful situation. Maggie's friendship give Laksmi the strength to stand up for herself and to grow into the person she might have been had she not gotten married. But sometimes it's hard not to judge. When Lakshmi's secret is revealed, Maggie's unable to provide the forgiveness and sympathy that Lakshmi needs from her friend, setting in motion events that end a friendship and a marriage. But can a story save both? Umrigar leaves her readers to decide that for themselves. For other opinions about The Story Hour, check out the full TLC Book Tour. Presumably these folks have managed to get the book read on time! To put it bluntly...that's it??? I listened to over 500 pages of book waiting, waiting for something to happen. After all, Kostova had taken readers all over Europe, chasing Dracula in an action-packed tale in The Historian. I went into The Swan Thieves expecting something along that same vein, perhaps something otherworldly, certainly some action. I even thought, at one point, that I had figured out "the twist." Because surely there was a twist, right. Nope. Nothing, Nada. Well, sort of, but no "big" twist, rather something quiet, a mystery solved. You've been warned - do not expect The Historian. If you don't, you're far more likely to enjoy this book. Reviews on the Barnes and Noble web site are highly favorable. Even so, The Swan Thieves is much. Too. Long. Kostova does love her descriptions and her details. In her defense, she's really great at writing them. But when you're already tying together two tales of obsession with all that's entailed in working through those, it's not necessarily important that readers know exactly how each character is dressed. I liked the story, even though it doesn't sound like it. I just wish it hadn't gotten lost in so much detail and so many unnecessary side trips. An experienced psychologist, Maggie carefully maintains emotional distance from her patients. But when she agrees to treat a young Indian woman who tried to kill herself, her professional detachment disintegrates. Cut off from her family in India, and trapped in a loveless marriage to a domineering man who limits her world to their small restaurant and grocery store, Lakshmi is desperately lonely. Moved by Lakshmi’s plight, Maggie offers to see her as an outpatient for free. In the course of their first sessions in Maggie’s home office, she quickly realizes that what Lakshmi really needs is not a shrink but a friend. Determined to empower Lakshmi as a woman who feels valued in her own right, Maggie abandons protocol, and soon doctor and patient become close. Even though they seemingly have nothing in common, both women are haunted by loss and truths that they are afraid to reveal. I'll be back again tomorrow with my final thoughts on this book - I'm still finishing it up. What with the busy week I had last week, some problems with reading malaise, and the difficulty I had reading this book, I'm not quite finished. Ms. Umrigar shifts narrative between a third person narrative for Maggie's parts of the book and a first person narrative for Lakshmi's narrative. The difficulty lies in the fact that Lakshmi's narrative is all written in the voice of an Indian immigrant first learning to speak English. It takes considerably more concentration to read and I'm not sure it was necessary. After all, wouldn't Lakshmi's narrative to us be in her native tongue as it would either be her thoughts or her telling us her story in her most natural way. It does serve to show how she changes as the book progresses but it slows the reading. And I'm prone to read Umrigar's books slowly as it is, loving her stories and not wanting to be done with them too quickly! I'm not sure how I thought I was going to find enough time to get a lot of reading done for Bout of Books this week, other than The Big Guy being gone and less television distraction. Apparently I hadn't looked at my calendar at all! It's been a busy week, full of fun things (mom/daughter evening, book club, book event, dinner with friends, anniversary party) but not nearly as much reading time as I had anticipated. I signed up for the A More Diverse Universe event (hosted by Aarti of Book Lust) which calls on readers to read one book written by a person of color in the last two weeks of September. Silly me, I initially misread the details and thought it was for the last two weeks of August which would have fit in perfectly with my reading of Thrity Umrigar's latest, The Story Hour. Ah well, I know I have plenty of other choices when the time comes. Listening To: I'm on the last disc of M. C. Beaton's Death of a Cad. Embarrassingly, I realized, about disc 2, that I've listened to this one before. I knew I should have bought the other Hamish McBeth audiobook they had at the library sale instead! Watching: It was another "Orange Is The New Black" evening for Miss H and I the other night. Reading: I'll finish The Story Hour today then I'll start Liar Temptress Soldier Spy: Four Women Undercover In The Civil War by Karen Abbott for an upcoming TLC Book Tours review. I also got almost 70 pages read in Rainbow Rowell's Landline while I was waiting for her book event to start and later while I waiting more than an hour in line to have it signed. More later this week about what she had to say about writing, reading, and what she's got coming up. Making: Homemade salsa that was hot enough it impressed the boys, blackberry banana bread, peach crisp, white bean dip, and caprese salad twice (one of my favorite summer foods!). I've enjoyed creating in the kitchen this week. Planning: The menu for our football season kickoff party next week. Stuffed banana peppers have been requested but that's the only definite at this point. 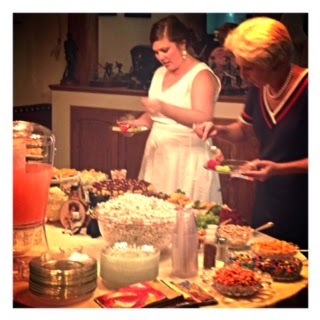 If you do football parties, what do you like to serve? Grateful for: Friends I can be with "as is," who make me laugh so hard the worries of the world drop away, who care about me and my family as though they were their own. Our dinner Friday night was just the thing I needed. Enjoying: We went to an anniversary party last night at a "cabin." What a lovely way to spend an evening, out on their deck, looking out over their part of the lake as the sun began to set. On the way home, we stopped for ice cream in a town where my grandparents used to live. When my siblings and I stayed with them, they often put us in their 1963 Mercury and took us for ice cream at Zesto. They still have the same sign! Feeling: Excited about both football and volleyball seasons starting. I'm thinking some high school football is on the agenda for Friday night. Looking forward to: Getting to be Mama Shepp again Saturday. I miss having a house full of "my" kids! Every year Nebraska chooses (as I suspect many, if not most, other states do as well) one book to read as a state by an author with Nebraska ties or about the state. 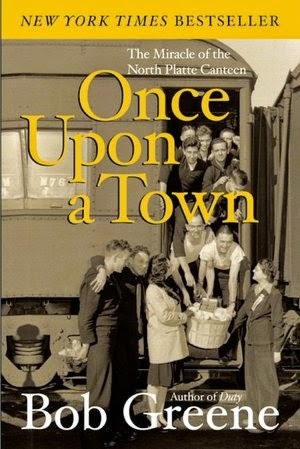 This year that book is Once Upon A Town. My book club decided to join in the fun although I don't know that any of us will actually make it to any of the planned events to discuss the book with anyone but each other. It would have been fun to see if those events included anyone who remembered the Canteen. As for the book, I wanted, as we bloggers so often do, to love this book. It's about a wonderful thing that happened in my beloved state and is written by an award-winning author. I'm never sure if that means I go into books with an unrealistically high expectation or if I'm more prone to forgive shortcomings because I want to overlook them. Here I think it was something of the former. I was really looking to hear the story about the canteen - how it started, how they managed to keep it running for so long with such a small group of people to draw from, and how they managed to organize all of those people. I suppose I thought it went without saying that the young men who made their way through North Platte during the war appreciated the town's generosity. I was surprised to read that almost without exception, the men Greene spoke with about their experience cried as they recalled the ten-minute sign of love they found in North Platte. It was interesting to learn how the word got out about what a treat the men (boys, really) were in for and how they carried that time with them as they battled in Europe and the Pacific theater. It wasn't just North Platte that manned the Canteen; 125 communities within a 100 mile radius helped to feed and entertain the troops as they made their way across the country. Thousands of people who donated time and precious food to give each of those men something bright in their long journey. They made sandwiches, cookies, and cakes; donated magazines, cigarettes, Coca-cola, apples. They made long trips in often bad weather on rural highways using up their rations for gasoline and food to give to others. As a book club, we could hardly imagine a time when so many would pull together to do so much. As a person who has organized PTO's and swim teams, I couldn't imagine the work that went into making sure there were people to work and food to give for every single train. And that's where I felt like this book fell short. How ever in the world did they accomplish that? I would have liked less detail about what has become of North Platte since the war and the demise of passenger trains and more detail about the organizers managed to do this. Because you know it fell to a few women. Although the book sometimes dragged for me and I wanted more about that time in history and less about North Platte now, I'm glad I read this book. It's a wonderful reminder about how much people can accomplish if they really have the desire and about how much something as small as a sandwich and a cup of coffee can mean to someone. Source: I bought this one January 28, 2009 from Barnes and Noble. How do I know this? Because the packing slip was still in the book! A lot of remarkable things have happened to Sam Pulsifer, beginning with the ten years he spent in prison for accidentally burning down Emily Dickinson's house and unwittingly killing two people. 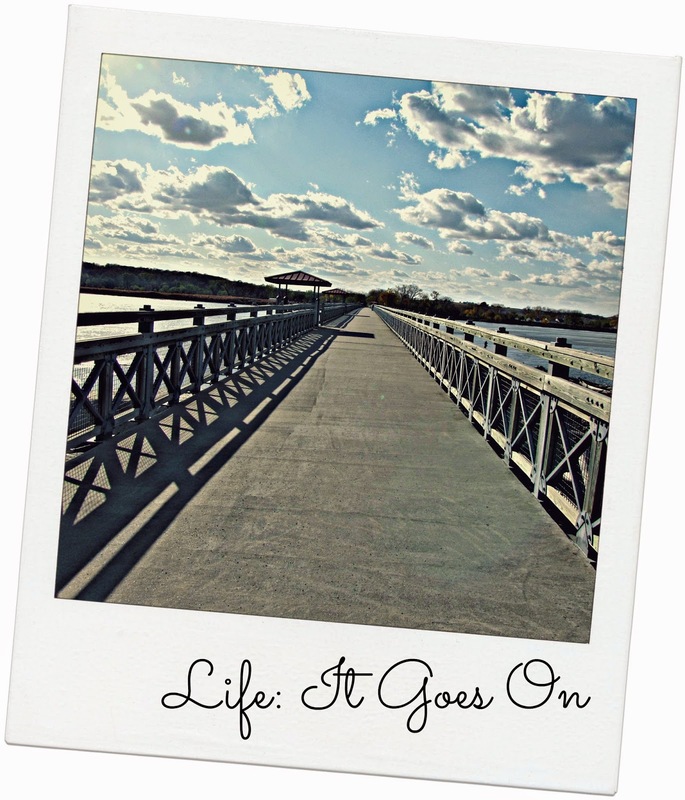 Emerging at the age of twenty-eight, he creates a new life as a husband and father. But when the homes of other famous writers go up in smoke, he must prove his innocence by uncovering the identity of this literary-minded arsonist. I first heard about this book in December 2007 on NPR; it was a holiday recommendation by an independent bookseller. You're pretty impressed with my memory right about now aren't you? Don't be. I knew I had to have learned about it on NPR; there was very little chance this was a book anyone I knew would have recommended it to me. More than a year later, I found it on clearance at Barnes and Noble and, not too surprisingly, remembered the title. Then it sat on my bookshelves for more than five years, in no small part because just a few months later this blog was born and new books started rolling into my mailbox. Which is one reason the TBR Pile Challenge is so important. Some publisher's summaries revel too much detail, some are brilliant. This one seems determined not to give away too much about the book, including the fact that it's a novel (albeit one written as a memoir) and that it's a satire. Dark, very dark, humor. I'm not opposed to dark humor; heck, I love the Coen brothers' movies. But oh my goodness, this was depressingly dark. With the exception of Sam's children there was not a single character to be liked, Sam least of all. Sam is, by his own account, a bumbler, socially inept and almost entirely lacking in common sense. The reviewer for the Chicago Tribune said is "impossible not to care about and laugh with Sam." I beg to differ. We've all had those people in our lives who we start out trying to help because we can see they need it but end up backing away from because they simply refuse to help themselves. Sam is one of those people. I may be jaded from having had too many of those experiences. Instead of caring about Sam, I wanted to slap him. Repeatedly. It's hard to feel sorry for someone who neglected to tell the woman he was marrying that he had spent ten years in prison and lied and told her that his parents were dead then is surprised by how badly she takes it when this all comes out. So while I "got" the humor of An Arsonist's Guide To Writers' Homes In New England, it dragged for me as Clarke used letters Sam had received in prison to introduce new characters and bury Sam in deeper and deeper trouble. No doubt about it, Clarke does have a biting wit. It just got lost too often for me. 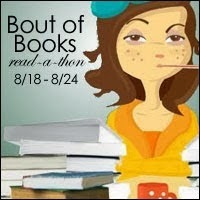 I know what you're thinking - why would she sign up for yet another read-a-thon she's bound to fail at? Because hope springs eternal! Even though I know I have book club Tuesday and will spend part of Thursday evening at a Rainbow Rowell book event, The Big Guy is out of town this week. That means that except for whatever football games are on, the television will mostly be off and it will be very quiet around here. 3. At least get a good start on another book I have for review, although I'm not sure which one I'll pick up yet. I'd love to get the whole book read while I've got the extra reading time! Happy Sunday, all! It's been tough getting back into the routine this week at my house. After a very busy ten days prior and being somewhat off schedule in the weeks before that, it's felt kind of good. We finally got back into our walking routine and my legs ache to prove it, which is a good thing. I'm still working to get caught up on my blog reading and mail. I need to find a couple of hours one of these days to devote to the computer; maybe Labor Day since we don't have plans for that extra day off work. 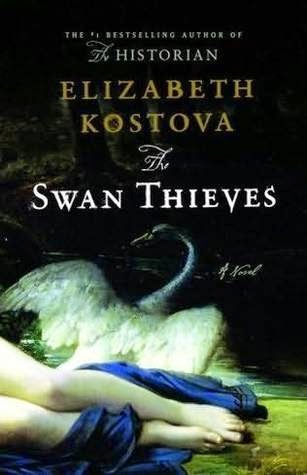 Listening To: I finished Elizabeth Kostova's The Swan Thieves this week. For now, let's just say, if I'd been reading instead of listening, I would have put it down unfinished. Tomorrow I'll start another M. C. Beaton Hamish McBeth mystery, Death Of A Cad. I really need something light and quick. Watching: NFL preseason football. There's a part of me that feels guilty watching football these days, knowing what it does to the players bodies and brains. But lordy, you all know how much this girl loves this sport! 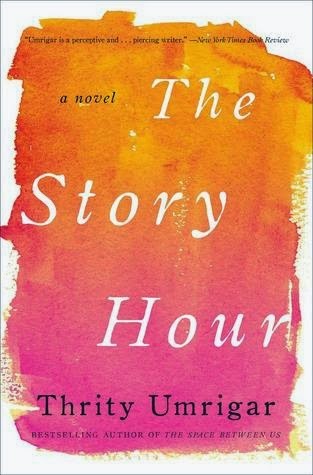 Reading: I'll finish Bob Greene's Once Upon A Town tomorrow for book club and Thrity Umrigar's latest, The Story Hour, for a TLC tour next week. Making: Homemade pizza rolls, cucumber dip, BLT's and an egg casserole for breakfast this morning. The pizza rolls were an experiment that we all liked but I'll be tweaking the process when we make them again. Planning: Our first football party of the season in just two weeks. Can't wait to watch our Huskers kick off the season surrounded by Mama Shepp's kids. Grateful for: Fresh produce straight from my garden at every meal. It tastes so much better and it's great to know how much healthier we're eating. Enjoying: Evenings on the patio. It's continued to be uncharacteristically mild here for August and I can't seem to get enough outside time. Feeling: Happy to have had this weekend with nothing on the calendar so we can get caught up on some cleaning and projects. Looking forward to: My book club's meeting and a book store event with Rainbow Rowell this week. What are you looking forward to this week? I had very few reading commitments this month and have been working really hard to read books that have been living on my shelves for a while so I could, you know, maybe get rid of the piles on the floor. But today when I went to the library book sale to pick up some new audio books (which I'd like to point out will live in my car and not on my floor), I found very few books I really wanted to listen to...and six dollars yet to spend. I always take cash and my goal is usually to spend as close to the exact amount of cash I have without going over. So I HAD so spend that last six dollars. Which meant I had to buy actually books. Which will live on my floor. For who knows how long. I got Mrs. Dalloway and M.C. Beaton's Death of a Maid on audio and Tigers In Red Weather, The Weird Sisters and The Singing and Dancing Daughters of God in print. In my defense, I did put back Dan Simmon's Drood which I'm pretty sure weighs in at 10 lbs. Curiously, they also had this one on audio and while it most definitely did not say "abridged" any place on the box, I find it hard to believe that they got 800 pages of book onto seven discs. Had to pass on that on principle alone. Also, I might have added a couple of books on my Nook this week. But they're invisible so they don't count, right? Have you brought any new books into your home this week? It looks light, right? Even after you read the summary and see hoarding, drug rehab, and financial disaster, you look at the cover and think light. And it is, to an extent. Objects of My Affection has plenty of humor and there are those two great-looking guys that Lucy basically drools over so there's that froth. But Smolinski balances that with two interesting story lines about parenting and a wonderful look at how we hold on to things, both physical and emotional. Y'all know how much I love to declutter (I have no idea when I became Southern) but how I also have those things that feed my soul that I have to hang onto so you know there's a part of me that can relate to both Lucy and Marva. Except that Lucy doesn't believe in hanging on to anything and Marva doesn't believe in letting go of anything - the journey of Objects of My Affection is in helping both of them find the middle ground. 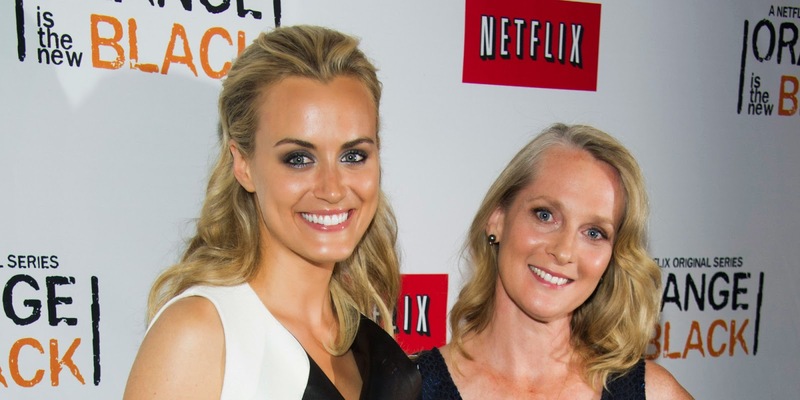 When Piper Kerman was sent to prison for a ten-year-old crime, she barely resembled the reckless young woman she’d been when, shortly after graduating Smith College, she’d committed the misdeeds that would eventually catch up with her.Happily ensconced in a New York City apartment, with a promising career and an attentive boyfriend, she was suddenly forced to reckon with the consequences of her very brief, very careless dalliance in the world of drug trafficking. Kerman spent thirteen months in prison, eleven of them at the infamous federal correctional facility in Danbury, Connecticut, where she met a surprising and varied community of women living under exceptional circumstances. In Orange Is the New Black, Kerman tells the story of those long months locked up in a place with its own codes of behavior and arbitrary hierarchies, where a practical joke is as common as an unprovoked fight, and where the uneasy relationship between prisoner and jailer is constantly and unpredictably recalibrated. Orange Is The New Black is one of those books that caught my eye when it first came out and one which periodically piqued my interest over the past few years but I had never quite gotten around to picking it up. I knew that Netflix had turned it into a series but then I didn't get around to watching that, either. Then I heard a discussion about the series on NPR's Pop Culture Happy Hour and I just had to start watching the series. Every time I watched an episode, I'd think to myself "it's time to pick up the book." And then I wouldn't. Finally, as I sat watching the first episode of Season 2, I picked up my Nook and ordered it. Let's just get the bad out of the way right up front, shall we? Kerman can be a bit repetitive sometimes, evidently assuming that her reader has forgotten certain facts or characters. That's it. That's the only thing that didn't work for me in this book. The only other problem I had is that I spent a lot of my reading time comparing the book to the series. For obvious reasons, some things have been expanded, characteristics of certain inmates have been ascribed to different characters in the book, and there are back stories for the characters in the series that are not included in the book. As I almost always would, I'd highly recommend you read the book before you watch the series. Just as a matter of distraction, though; not because the series suffers in comparison. Kerman makes no excuses and takes complete responsibility for her own actions making her a very believable chronicler. Having seen the series, it came as no surprise to me that Kerman developed a great fondness for her fellow inmates and a great disapprobation for the penal system in the United States. As a white-skinned, blue-eyed, blonde inmate with a strong support system, an education, and financial means, Kerman was not a typical inmate and she understands that her experience was very different than it is for most women, much easier. Being in a minimum-security facility for most of her time (except for a brief time when she was called to testify against a codefendant), life was not as dangerous for Kerman as it might have been in a maximum-security facility. In fact, she says she quickly realized there was very little threat of physical violence. Still, constant humiliation at the hands for the officers, continually changes rules and lack of enforcement of stated rules, poor living conditions, and a complete disregard for rehabilitation and reintegration into society at release made the experience difficult. When she entered the prison system, Kerman was already a much different person than the one who had committed the crime for which she was incarcerated. She was an altogether new person when she finally walked out thirteen months later and a vocal advocate for prison and mandatory sentencing reform. As much as Orange Is The New Black is Kerman's personal story, it is also a call to arms. We are doing ourselves a great disservice in treating those convicted of crimes this way. Happy Sunday all! I'm feeling so relaxed and recharged after a week away but I sure would like another one just to poke around the house and get things done! We made a tour this week through Missouri. We shopped, we ate, we drank, we boated, we ate and drank some more. We discovered that my husband doesn't believe his GPS and that eating out with two vegetarians, especially a very picky one, is complicated (thank heavens for menus on the internet). 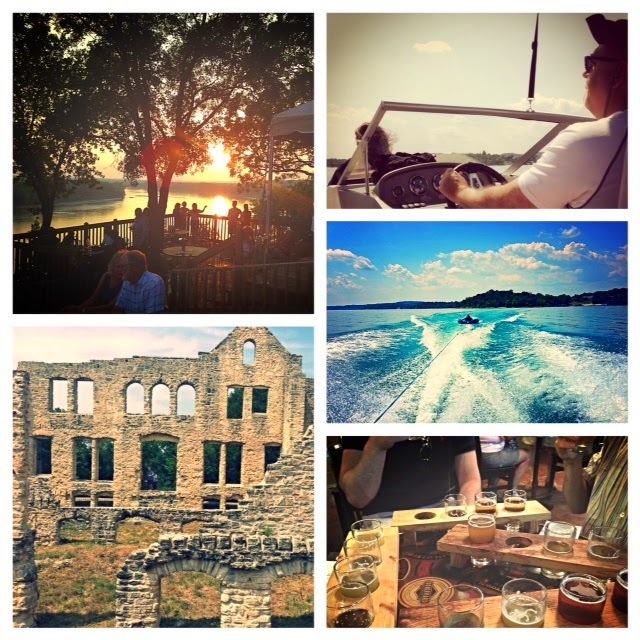 We drank coffee made from ridiculously expensive beans, hit the tasting room at Boulevard Brewery, sat on a river bluff listening to music and drinking wine, toured "castle" ruins, and spent the day on the lake in a boat tubeing. We fought, we laughed, we had fun and created great memories. Love my family! Got back in time to finish up plans for a bridal shower for my nephew's fiancee which we held yesterday at my parents' home. It was the first bridal shower she'd ever been to and the poor girl was so nervous! Her mom surprised all of us by making the long trip up which made the day even more special. Listening To: I talked the crew into listening to some RadioLab podcasts while we were driving but mostly we've been listening to angry young men music. I'll be back to The Swan Thieves this week and hope to pick up some new audio books this week. 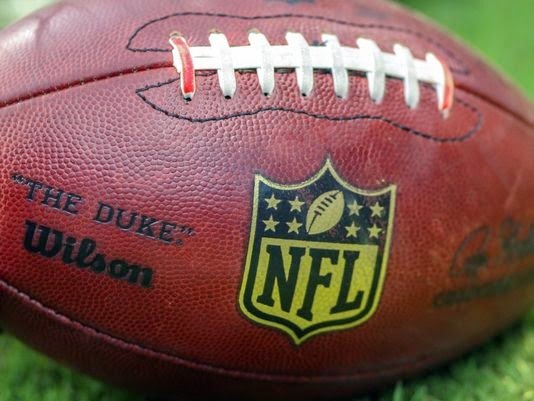 Watching: Preseason NFL football and the season finale of "Longmire." 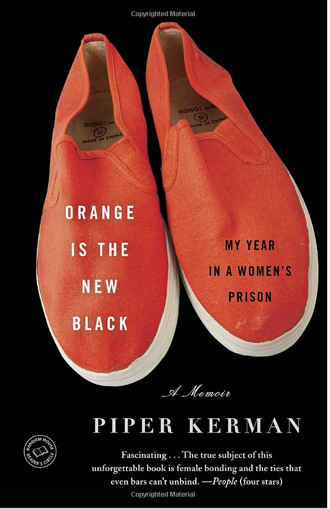 Reading: I only finished one book all week, Piper Kerman's Orange Is The New Black. 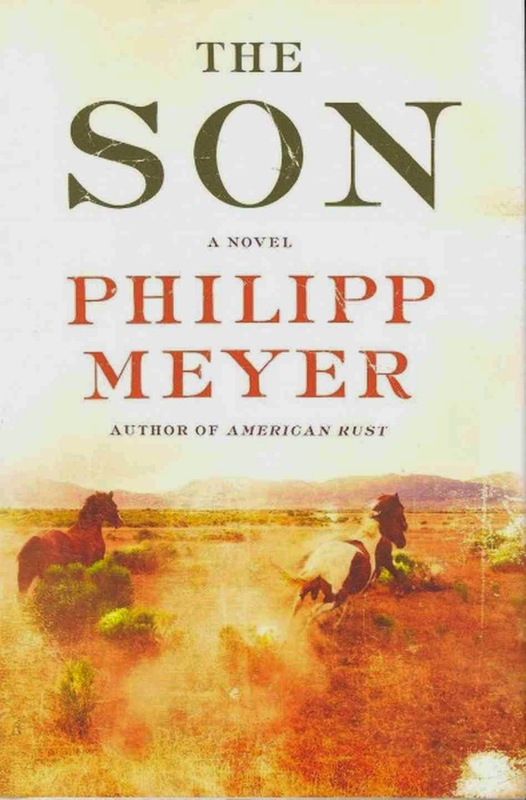 My reading was somewhat limited by the fact that Mini-me glommed on to my Nook as soon as we got into the car and read all of Philip Meyer's The Son while we were gone. Making: The only thing I've even made since we got home was a warm pasta salad. I'm going to have to get back in the cooking groove this week! I know for sure tomatoes and hot banana peppers will be involved - our plants are producing like crazy. Planning: Absolutely nothing at the moment. Grateful for: my kids who pushed me to do something this week that I didn't think I could do. I had so much fun and need to remember to be more daring. Enjoying: A cool, rainy day. I'm about to go spend my last day off reading; I'll be finishing Jill Smolinski's Objects Of My Affection. Feeling: Lazy. Oh well - I'm going with it. Looking forward to: Not going back to work, I'll tell you that. What are you looking forward to this week? When I first posted that Disney was in the process of adapting Stephen Sondheim's beloved musical "Into The Woods" into a film, I was interested in it only so far as that it was another fairy tale story being made into a movie. I'd never seen the musical on stage nor listened to the music. I still haven't seen it performed but I have become very fond of the music (thanks, Trish, for encouraging me to listen to musicals even if I haven't seen them!). As a fan of both musicals and fairy tales, I was likely going to see the movie and likely going to have some opinion on the acting and vocal abilities of the cast. But not having been familiar with the Broadway version, I wouldn't have had any comparison and probably wouldn't have been disappointed. Now all of that has changed. 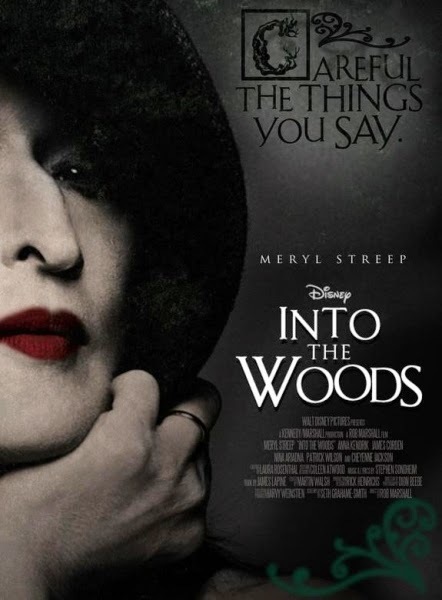 Disney, under the apparent impression that the story and music were familiar enough to audiences to make "Into The Woods" worth adapting, was evidently under the seemingly conflicting impression that they would need A-list celebrities and known faces to draw audiences into the theater. Thus we get the likes of Chris Pine, Tracey Ullman, Johnny Depp and Meryl Streep. I know, I know - Depp and Streep have both sung previously in movies. But I can't say I really care for either of their voices and Streep is certainly no Bernadette Peters. Speaking of Peters, why wasn't she cast in the role she is so well known for? On the other hand, Christine Baranski, Anna Kendrick and Emily Blount can sing and the cast is also loaded with largely unknown actors who come with a lot of theater experience and long lists of credentials. Also on the plus side, it's being directed by Rob Marshall, who also directed "Chicago" which I loved. Then again, Disney being Disney, they've made some fairly significant changes to the story to make it more family friendly. The Wolf and Red Riding Hood's relationship is now longer sexual, Rapunzel doesn't die (which means one of the original songs had to be scraped), and The Prince and The Baker's Wife will not be sleeping together. Sort of taking all of the darkness out of the story which was to be expected, I suppose. 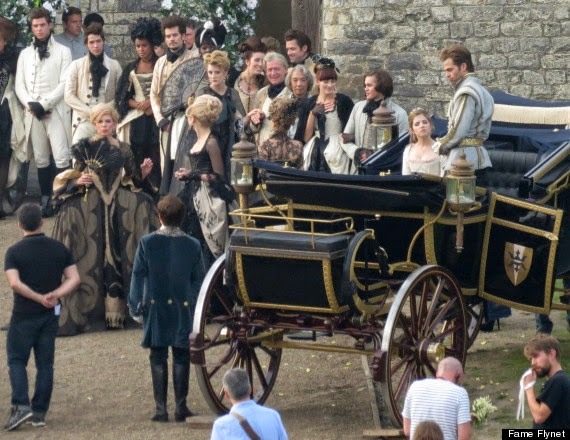 The movie is currently in post-production and is scheduled to be released on Christmas Day. I won't see it that day - I'm opposed to the theater employees having to work that day. 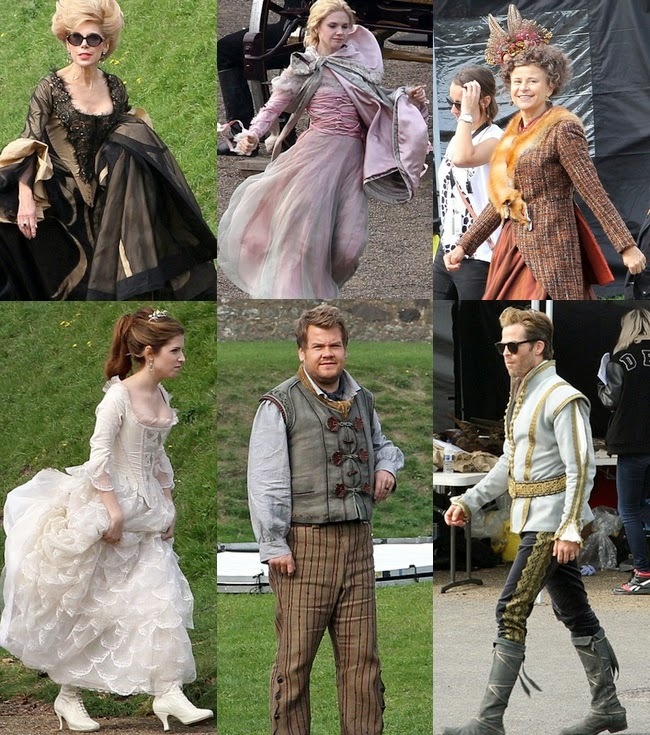 But I definitely hope to see "Into The Woods" after some post-holiday shopping the next day! 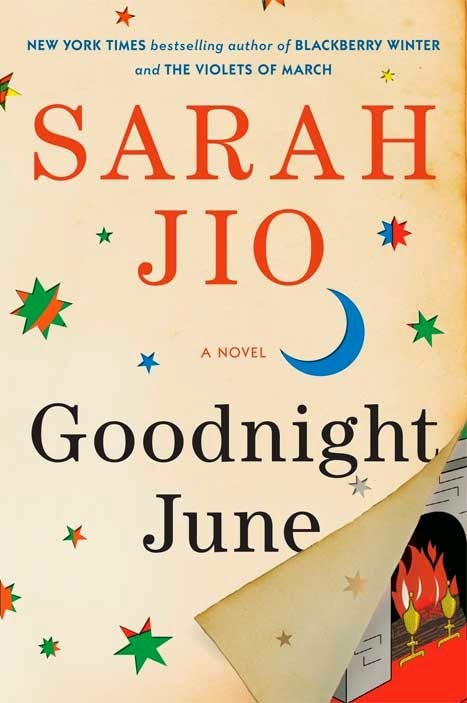 In Goodnight June the story line set in the past is told entirely through a set of letters which allows Jio to tie their story in better with the present day story line than I felt Jio was able to do with Violets of March, her debut novel. Jio takes on a number of themes here (sisters, love, grief, family relationships, death, betrayal, and corporate America) with varying degrees of success but most of it works and I came to really care about June as see grieved for her aunt, lost love, and her relationship with her sister and struggled to come to grips with the person she had become. Not many books can make me tear up; Jio succeeded in doing just that. Sure it was manipulative but even though I knew what was coming, it was still hard to read and still pulled at my heartstrings. I appreciated that Jio didn't tie everything up in a tidy little happily-ever-after in the end, either. There is just enough sadness, meanness, to make things feel a bit more real, leaving me satisfied. And you've gotta love a novel that ties in the beloved Goodnight Moon. 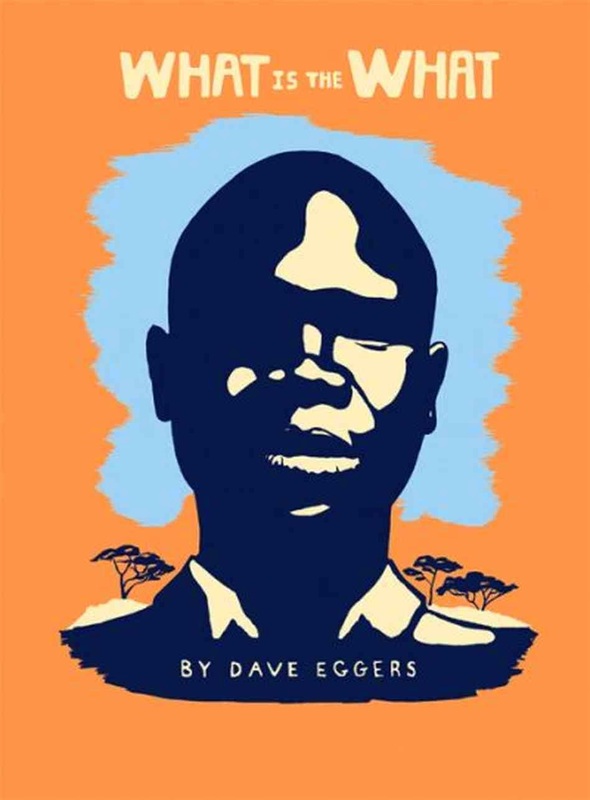 In a heartrending and astonishing novel, Eggers illuminates the history of the civil war in Sudan through the eyes of Valentino Achak Deng, a refugee now living in the United States. We follow his life as he's driven from his home as a boy and walks, with thousands of orphans, to Ethiopia. Valentino's travels bring him in contact with government soldiers, janjaweed-like militias, liberation rebels, hyenas and lions, disease and starvation-and unexpected romances. In this audiobook, written with expansive humanity and surprising humor, we come to understand the nature of the conflicts in Sudan, the refugee experience in America, the dreams of the Dinka people, and the challenge one man faces in a world collapsing around him. I had this book in paperback and audio because, once again, I forgot I already had the paperback when I bought the audiobook. Which turned out to be a happy mistake; What Is The What was the perfect book to do a combination of reading and listening. 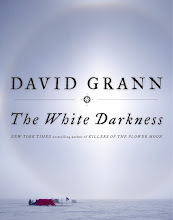 The audio narration, by Dion Graham, is one of the best I have ever heard. I had quite a few driveway moments when I just could not make myself stop listening and go inside. As soon as I got inside, I had to pick the book back up and keep reading. Before I started blogging, I read another story of a boy who's life was irreparably changed by war in his African country, Ishmael Beah's A Long Way Gone. Beah's story was autobiographical and he was forced to become a boy soldier. Achak Deng was spared that fate but little else when he is forced to flee his village when the government of Sudan attacks his village. Deng and Eggers spent many years talking about what Deng could recall of his years on the run, in refugee camps and adjusting to life and an immigrant. Then Eggers did what Eggers does and blended that material with fiction, creating a nonfiction novel. The result is a story that truly is heartbreaking, frightening, and hopeful. In the present day, Valentino is attacked in his own apartment and held for hours. When he is finally freed, he goes to the hospital to care for the wounds he has suffered and then on to his work in a health club. Throughout these hours, Valentino is, in his head, telling his captors, his caregivers and the patrons in the club about what has brought him to this point. It is a unique and very effective story telling device that serves to underscore the hardships Valentino and the other so-called Lost Boys of Sudan have survived and continue to struggle through. This one is staying in my house (and if you've followed this blog for long, you know how rare that is). The only question now is, which Eggers book should I read next? Listening To: I've got five discs left of The Swan Thieves but this week I'll be listening to podcasts. 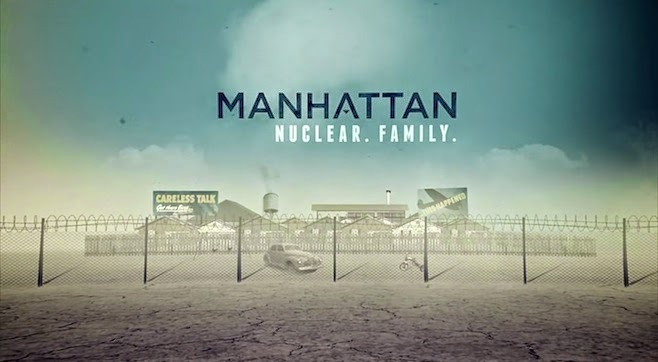 Watching: Manhattan on WGN about the Manhattan Project. We just picked it up last week and really enjoyed it. Now if we can just remember to watch it again this week! Reading: While I'm gone I've brought along Orange Is The New Black and The Princess Bride plus my Nook so I've got lots of options. Making: Victory is mine! I made the chocolate scotcheroo krispie treats and they were delicious! Planning: Nothing more than relaxing and enjoying my family until later this week. 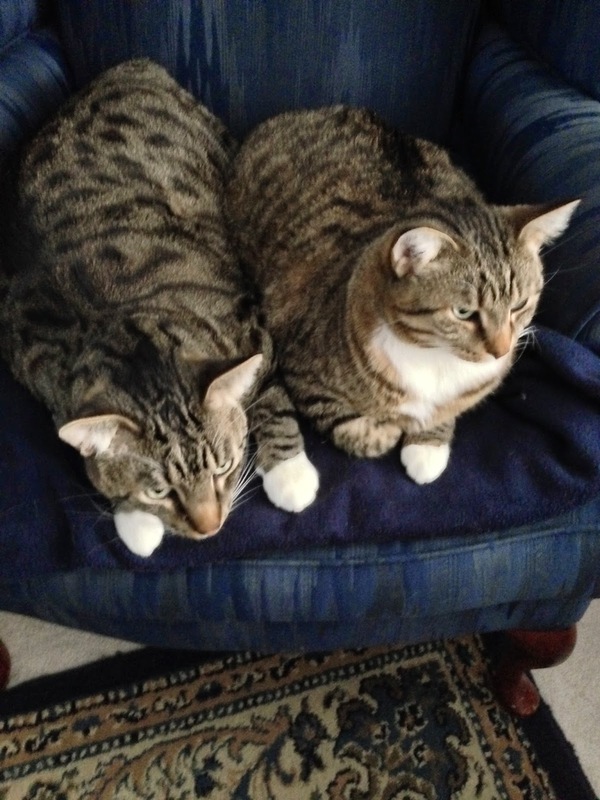 Grateful for: Girlfriends who can be trusted to housesit and take care of our furry babies. Enjoying: Time in one of my favorite places in the world with some of my favorite people in the world. Feeling: Happy not to be talking to any customers this week. Looking forward to: A bridal shower my sister, mom and I are hosting for my nephew's fiancee next weekend. We like her so much; can't wait to help celebrate their love. What are you looking forward to this week? I'll catch up with everyone in a few days!